Sort of a Rupture Cosplay I guess. A potential Dragon Con attendee. Customised “Skullskin” figure by Ajee. 11″ tall. There is a review up for the recent mini Mourning edition Stephan LePodd over at Tomopop. 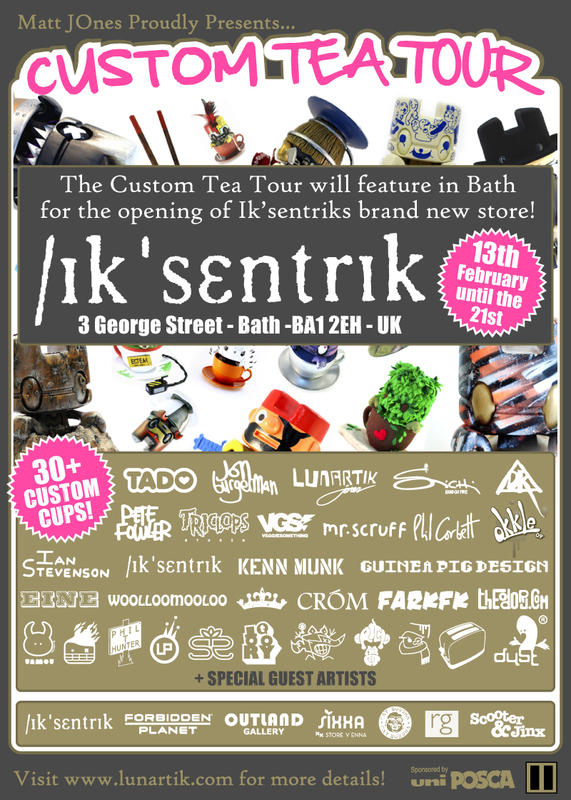 This Saturday the 13th of Feb the Lunartik in a Cuppa Tea custom show tour reaches Bath in the UK. Pop down to Iksentrik’s new store at 3 George Street and take a gander at my Rupture stylee custom in amongst all those other jolly clever shiney pieces. Back when I ran my gallery store I designed and commissioned a handful of pieces of furniture. 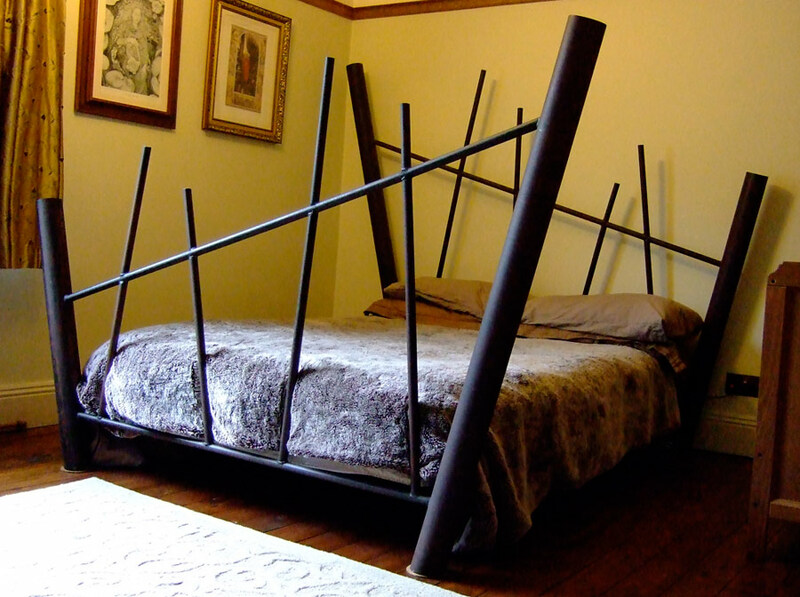 I have decided to sell the last piece i have, a bed. It is constructed of Iron with a laquered Oxidized finish. I designed it and had it made to my specifications. I expect only people in the UK need apply unless you have a heap of pennies to cover shipping as it is really really heavy..
EDIT : Now up on Ebay if you want to see more pics and read the nitty gritty. 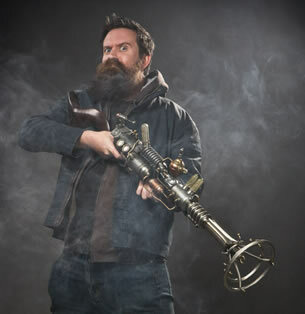 Mr. Greg Broadmore of Weta workshops in New Zealand, creator of the wonderful Dr. Grordbort’s Rayguns and lead designer (of guns, ships and beasties) on the splendid movie District 9 (among others). Recently had a few kind words to say about my Mechtorian toys. and in an email to myself he said, “They’re terrific – I really dig them. Perfect weird, cute little accessories for beside my computer! It makes me very happy to know you like my crazy little creations. Stephan decked out in his Mourning attire of velvet black, regal purple and steel (slightly rusted but no-one seems to mind). 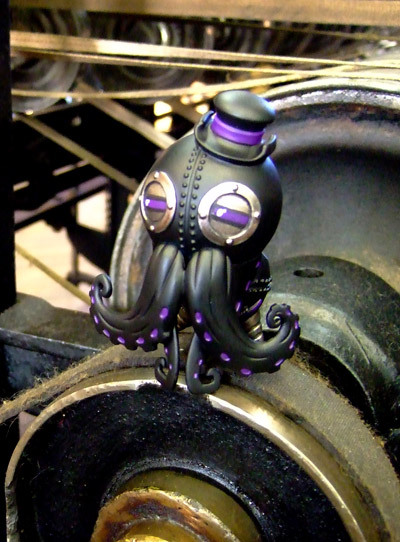 Each one of this edition of 20 mini Mechtorian figures is hand painted by Doktor A himself. Each piece is also signed and numbered on the underside. 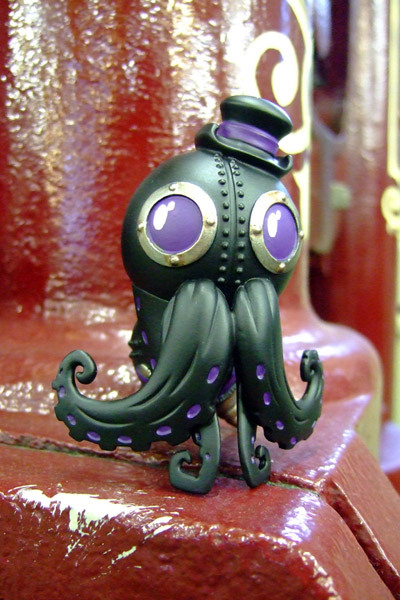 Available exclusively from The Spookypop Shop on the 9th Feb 6PM GMT. Among the edition there is hiding one special “Sleepy Eyed” version. Dont sleep yourself. They wont last long.